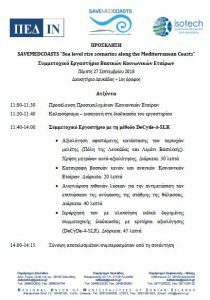 Isotech in collaboration with PED IN is organising on the 27th of September, a stakeholders’ Participatory Workshop in Lefkada to discuss about Sea Lever Rise and how the phenonomenon is affecting vulnerable areas of the island. Several key actors and decision makers from the local area have been invited and will be asked to identify their main gaps and needs with regards to sea level rise in their area, and prioritised the necessary actions to address them. 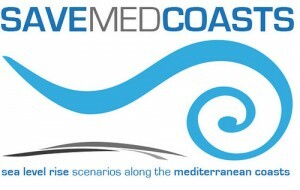 The workshop is part of the action plan of the EU Funded Project SAVEMEDCOASTS involving partners from Cyprus, Greece and Italy. Isotech’s scientific team has prepared a structured participatory process to facilitated the discussion and to produce interesting results. A similar workshop was successfully implemented in Cyprus earlier this month and another one will take place in Rome in October.